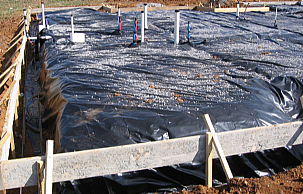 - When all of the foundation contractor’s preparation is done, call for inspection of footings/foundation. 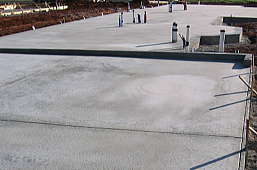 - After inspection passes, you are ready to pour the concrete. - Agree upon a time to pour with your contractor. - Call your ready-mix concrete supplier and setup a delivery time. 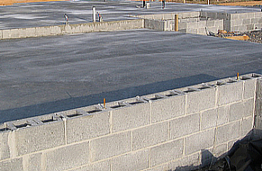 Your contractor can estimate for you approximately how much concrete you will need. The concrete supplier will want to know this. I recommend having your concrete supplier add “fiber” to the concrete mix. It is a strengthening agent added to the concrete which takes the place of the old-fashioned use of wire mesh laid on the ground with concrete poured on top of it.